Great news! Following a few days of tinkering with the experimental setup, we are ready to do some testing on the Holset Turbocharger. For this we have to remove the turbine wheel itself and use a pitot tube to measure the velocity at the tip of the vanes in order to draw theoretical velocity triangles to determine turbine performance. For this testing mode we will connect up a custom made oil system for lubrication, along with a calibrated air system for setting the rack position in the VGT. We designed each of these systems ourselves for ease of use when testing. 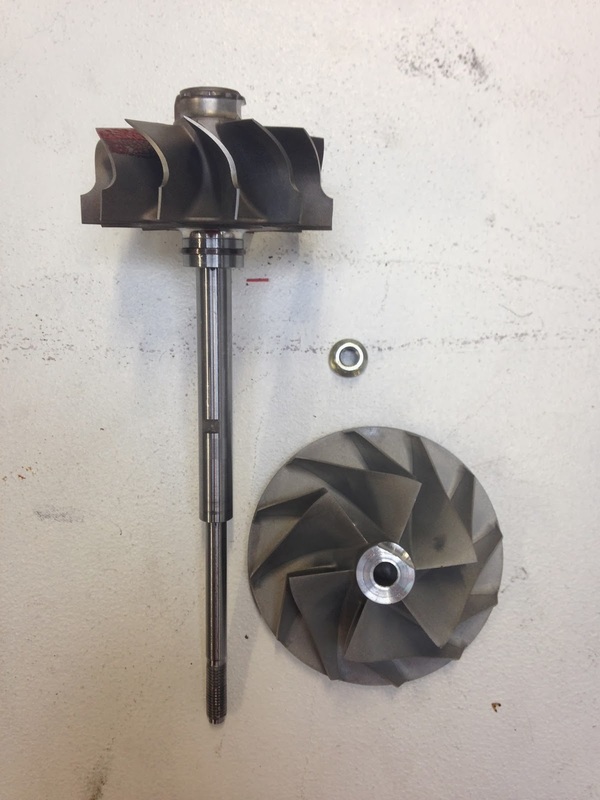 Once setup we plan to measure mass flow, pressure, temperature and turbine shaft rotational speed so that we can determine performance parameters for the compressor side of the turbocharger.